In order for your vehicle to continue to perform at optimum performance and safety, it’s important to use manufacturer recommended parts. We carry a large inventory of OEM certified parts in stock at all times, to help keep turnaround times down, and to serve all of our customer’s needs. 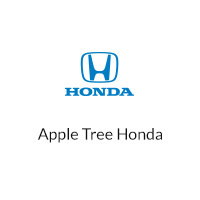 When you come to Apple Tree Honda you can know that our primary goal is to satisfy our customers, and along with our online dealership, we hope to create an enjoyable buying experience for each and every one of our customers. If you have any questions please contact us!